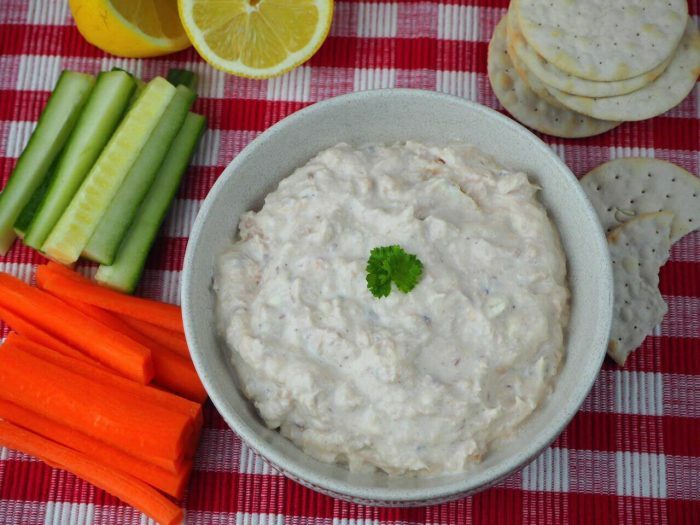 This fishy dish uses tinned salmon (an oily fish) which contains healthy omega-3 fatty acids. Delicious served with raw veg sticks and/or wholemeal pitta bread. So easy for kids to make ... and learn to love fish! Follow a recipe; follow food safety & hygiene rules; tidy away; use measuring spoons and cups; use balance/digital scales; beat ingredients together. Tin Opener, Fork, Spoon, Bowl, Citrus Squeezer. *Please note the allergens listed are indicative only. Allergens vary depending on brand; check the labels on the products you use. Open the tin of salmon and drain. Put the salmon in a mixing bowl and mash lightly with a fork. Spoon the low-fat soft cheese into the bowl with the salmon. Squeeze the juice of 1/2 a lemon into the same bowl. Mix all of the ingredients thoroughly together. Add 1 tbsp low fat yogurt to make the mixture a dipping consistency. Add black pepper to taste and serve with raw vegetable and pitta sticks, or crackers/bread sticks. Salmon is an excellent source of protein, as well as a range of vitamins and minerals. 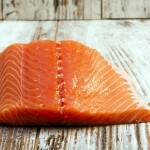 It is an oily fish and so contains high levels of omega-3 fatty acids. These are healthy fats and are very good for our bodies. 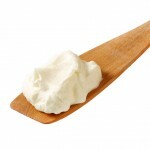 Soft cheese is an excellent source of protein and calcium. Choose reduced fat varieties where possible. Yogurt is an excellent source of calcium, and a good source of vitamin D for strong teeth and bones.